"Notes rain down on us during the whole day without any structure. But with context! Write down any note in the moment it appears, give it context and filter it later." Each note you are taking has context. 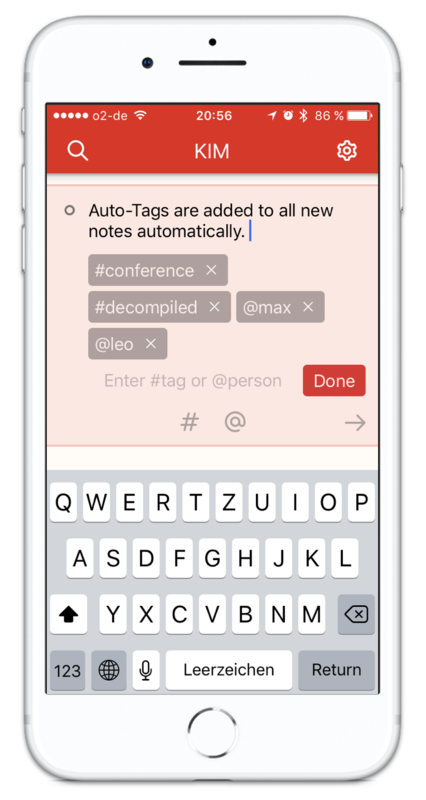 Simply add that context while entering the new note with the powerfull #tags and @persons annotations, which helps you filtering, later. Sitting in your weekly meeting or discussing the next birthday party with your wife, you won't type "#weekly" or "#birthday" at any new note! 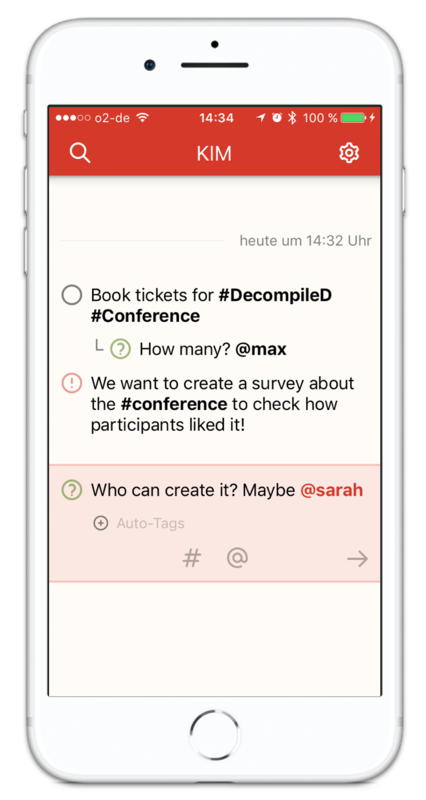 Simply use Auto-Tags and enter the current context once. 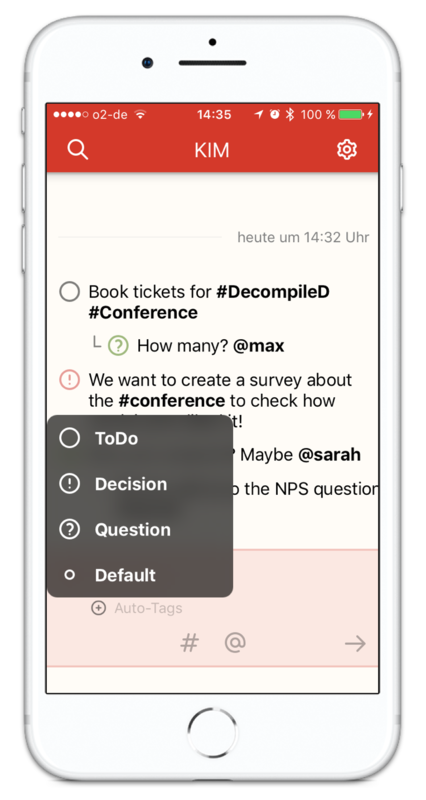 Each new note will automatically get that annotations. Set a type for entries to have a better overview and filter easier. Pro Tipp: Add a "?" for a question and a "!" for decissions at the end of your entry and KIM will automatically set the type. Made with #redshoes in Dresden.